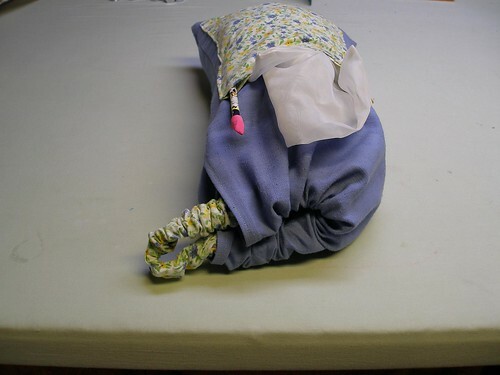 Here is what I do with the extra elastic I cut off the fitted sheets when I'm making fabric grocery bags. When I decided to do this, it reminded me of the Plains Indians and how they found a use for every piece of the buffalo and wasted nothing. Also, my apologies for the color on some of the pictures. 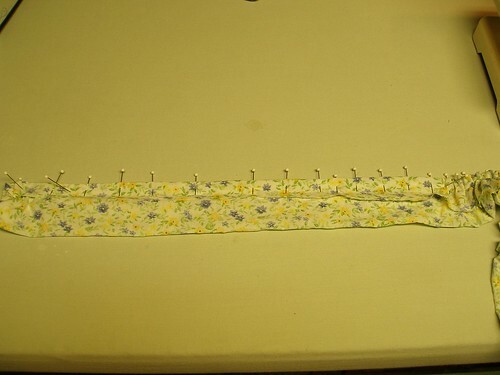 -When you cut off the elastic, leave a 2-inch wide strip of fabric along the entire length. 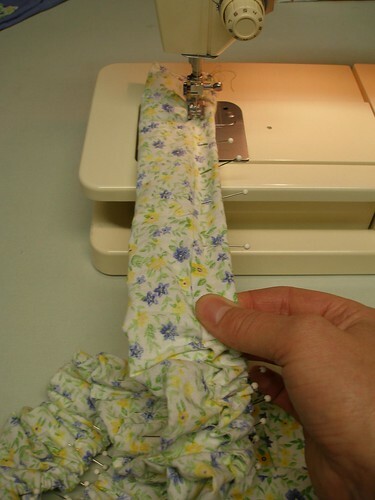 -Fold this over on itself, wrong side facing out, stretch it taut and pin fairly close together. This requires some dexterity (and I always poke myself at least once when doing this). This works much better if you can either pin it down to your table or have a third person to help stretch it as you pin. 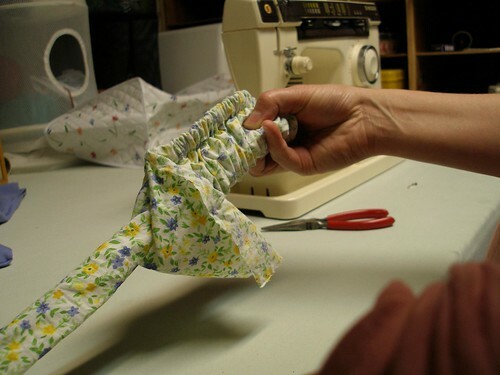 -Keep the elastic taut as you sew. 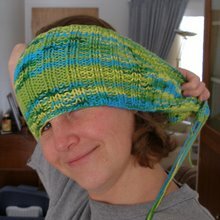 You can go over the elastic, or not, just make sure you catch the entire edge of the fabric. -Next pin a safety pin through one end and push back through the hole on that end, feeding it back on itself. Work the safety pin through to the opening on the other end and pull it right side out. This is what it looks like finished. (Though, it isn't usually so yellow.) 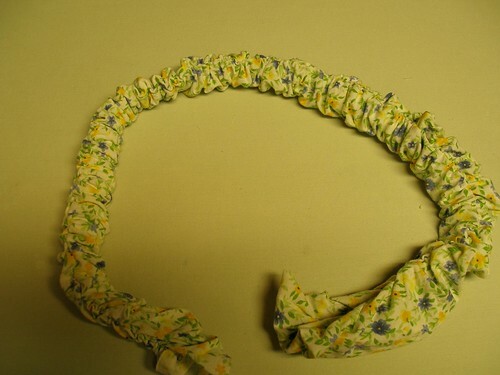 You can cut it and sew it into a scrunchy or use to top the bag of bags. Here's what it looks like in action. You can read more about my bag, bag here. If you're interested in seeing the comments from the original post, you can check them out here.